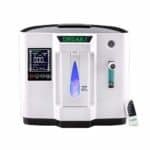 Review of Yuwell YU300 Portable Homecare Oxygen Bar Machines Portable Travel Oxygen Concentrator: ✅ Price comparison ✅ Customer reviews ✅ Product information: delivery method, weight, battery. Yuwell YU300 oxygen concentrator uses a continuous flow method with between 1 to 5 L/M flow range, so it can work continuously for 48 hours! It has over 40 customer ratings on Amazon, and over 70% of them are positive. 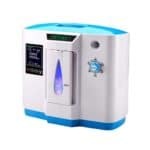 Making it one of the best Amazon portable oxygen concentrators. Probably the best portable oxygen concentrator in Amazon. Great quality, I have been using it frequently over a year. Can I used the unit at 4L per min. all night long; and I used a BYPA unit too all night long too, and I would like traveling in the good USA by airplane, but by big concentrator is not rate for airplane traveling. But I used at 4L/min. of oxygen at night time. Will this unit work for me? I me looking at the Amazon Conp. Will your unit be ok on a airplane. In general, yuwell YU300 is one of the best portable oxygen concentrators out there with up to 5L oxygen flow. 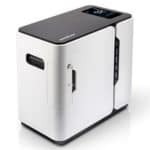 I do suggest you contact the Yuwell Yu300 seller for more info. can I get the warranty as stated from you, by ordering from Amazon? I do not sell products, just review them. How much wattage does unit use upon start up? I have an 450 watt inverter in car Can it handle start up of oxygen machine?